Setting the record straight about the institution of academic tenure, this book elucidates its history, legal status, and common misunderstandings. 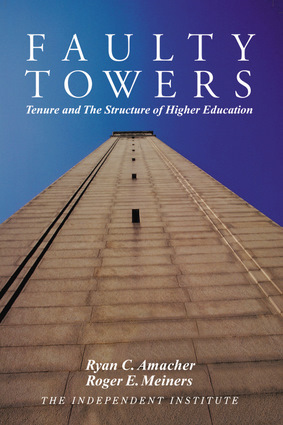 Meiners argues that the original aim of tenure—to ensure academic freedom and integrity—can still be achieved and that the belief by many professors that tenure is a guarantee of lifelong entitlement, whereby only the commission of a crime can lead to dismissal, is wrong. He contends that as long as college administrators follow the rules of their own institution, there is little to prevent universities from dismissing tenured faculty who have become incompetent. Roger E. Meiners is a professor of law and economics at the University of Texas at Arlington. He is the author of Common Law and the Environment, Cutting Green Tape, and Federal Support of Higher Education. He is the former director of the Atlanta regional office of the Federal Trade Commission. He lives in Arlington, Texas.